Clarkeite: Mineral information, data and localities. Named in 1931 by Clarence S. Ross, Edward P. Henderson, and Eugene Waldemar Posnjak in honor of Frank Wigglesworth Clarke [March 19, 1847 Boston, Massachusetts, USA - May 23, 1931 Washington, DC, USA], American mineral chemist, and former Chief Chemist of the U.S. Geological Survey. 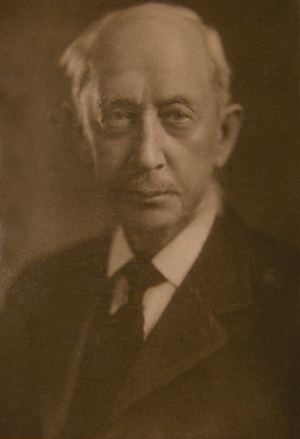 Clarke studied the composition of the Earth's crust and the unit of measure, the clarke, was named as a reference to the local enrichment of a chemical component relative to an average value for the chemistry of the crust. 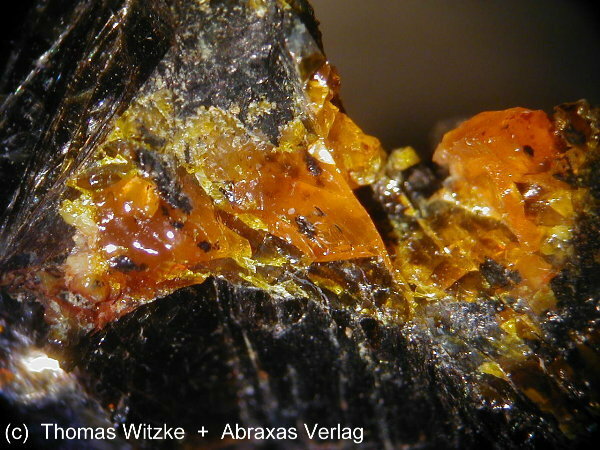 Clarkeite is a waxy to resinous dark brown replacement of uraninite. It is very uncommon, but is frequently misidentified with brown gummite that is dominated by schoepite-group minerals. Frondel (1956) warned: "Clarkeite is best identified by its X-ray powder pattern. 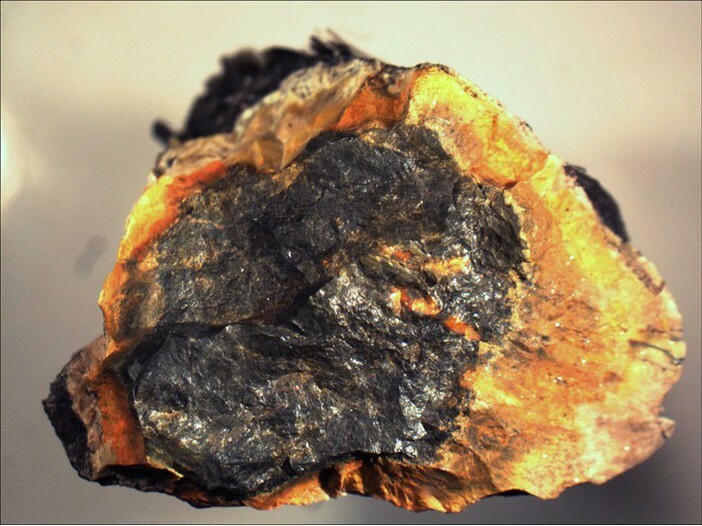 It is indistinguishable from the dark brown types of oxidized uraninite ... and from dense brown types of fourmarierite and vandendriesscheite." AM 82, p. 615; JCPDS 8-315 has extraneous and differing d-values. Uraninite 5 photos of Clarkeite associated with Uraninite on mindat.org. Gummite 4 photos of Clarkeite associated with Gummite on mindat.org. Autunite 3 photos of Clarkeite associated with Autunite on mindat.org. Cyrtolite 3 photos of Clarkeite associated with Cyrtolite on mindat.org. Fourmarierite 2 photos of Clarkeite associated with Fourmarierite on mindat.org. Kasolite 2 photos of Clarkeite associated with Kasolite on mindat.org. Uranophane 1 photo of Clarkeite associated with Uranophane on mindat.org. Muscovite 1 photo of Clarkeite associated with Muscovite on mindat.org. Ross, Henderson, and Posnjak (1931), American Mineralogist: 16: 213. Palache, Charles, Harry Berman & Clifford Frondel (1944), The System of Mineralogy of James Dwight Dana and Edward Salisbury Dana Yale University 1837-1892, Volume I: Elements, Sulfides, Sulfosalts, Oxides. John Wiley and Sons, Inc., New York. 7th edition, revised and enlarged: 624-625. Frondel, Clifford, 1956, Systematic Mineralogy of Uranium and Thorium, USGS Bulletin 1064, pp. 400. Finch, Robert J. and Ewing, Rodney C., 1997, Clarkeite: New Chemical and Structural Data, American Mineralogist, 82: 607-619. Finch, R.J. and R.C. 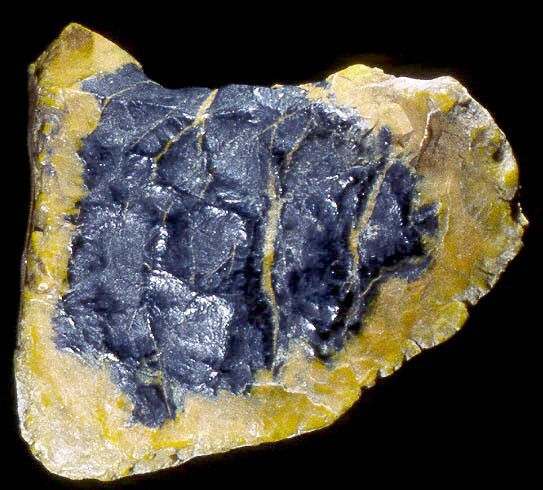 Ewing (1997), Clarkeite: New chemical and structural data: American Mineralogist: 82: 607-619. Kubatko, Karrie-Ann, Katheryn Helean, Alexandra Navrotsky, and Peter C. Burns (2006), Thermodynamics of uranyl minerals: Enthalpies of formation of uranyl oxide hydrates: American Mineralogist: 91: 658-666. A.K. Chatterjee, "Uranium Mineralization at McLean Point, Cumberland County", Nova Scotia Dept. Mines Report 77-1, 1977.
ⓘ Sunaghun Creek Confluence Occurrence ? Not found according to King & Foord, 1994. Mineralogy of Maine, V. 1. Not found at this locality: Frondel (1956); Foord et al. (1997), Korzeb et al (1997).